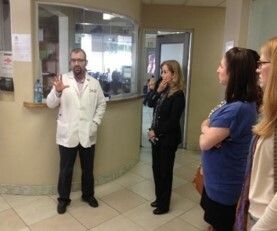 More than 9,500 leaders in the U.S. and Mexico have been provided with education and training seminars. ​In addition to our education and training programs, BPP team leaders also provide organizational coaching and technical assistance to member organizations. This is a wonderful opportunity for a private and confidential coaching session to discuss organizational growth opportunities, and to identify solutions to issues facing you and your institution. To date, over 130 nonprofit and philanthropic organizations have benefitted from the organizational coaching sessions. BPP’s technical assistance resources have provided essential tools and information to strengthen organizational capacity in key areas including but not limited to board governance, communication, nonprofit incorporation, resource development, and volunteer management in both countries. Additionally, BPP has re-granted over US$150,000 in technical assistance funds to our member network. 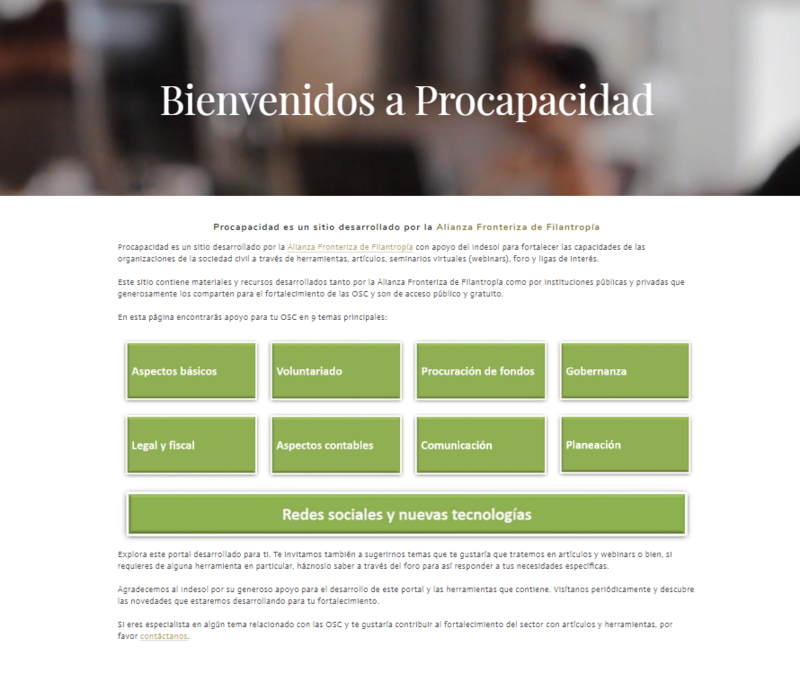 Procapacidad has achieved over 610,000 visits, and over 100,000 downloads.here to edit. 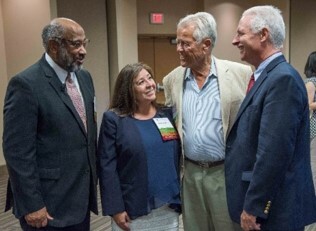 The BPP shares the Foundation Center’s initiative of reaching under-resourced and underserved populations, who need useful information and training to become successful grantseekers. By joining forces, Foundation Center (the leading source of information about philanthropy worldwide) and the U.S.-Mexico Border Philanthropy Partnership, they will assist in expanding the Funding Information Network (FIN) to partners in select regions in the U.S.-Mexico border. The FIN will allow organizations to receive the tools they need to become a fundraising information hub in their communities. Network partners agree to provide free public access to the Center’s online databases and a basic collection of Foundation Center publications during a regular schedule of hours, offering free funding research guidance to all visitors. Many also provide a variety of other services for local nonprofit organizations, using staff or volunteers to prepare special materials, organize workshops, or conduct orientations. The free tools that network locations provide through their partnership with Foundation Center and BPP help grantseekers diversify their funding streams, manage their nonprofits, and ensure their organizations are financially sustainable. Through on-the-ground training, one-on-one assistance with databases and learning materials, and other capacity-building services, this alliance will help grantees and applicants position themselves for success. 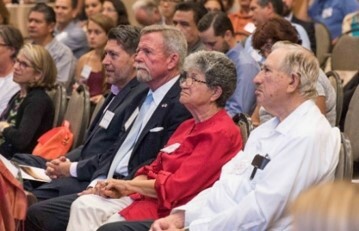 At a time when the competitive landscape for grants is so high, FIN partners and BPP are helping to build the capacity and fundraising skills of nonprofits in the U.S.-Mexico Border region. The U.S.-Mexico Border Philanthropy Partnership (BPP) and Foundation Center have joined forces to develop a customized and interactive binational philanthropic database and mapping platform of the 10 Border State region. The borderland’s map will allow regional stakeholders to see who is funding in the region, what projects and initiatives are being funded, and where the funds are being invested in the 10 State region. The borderlands philanthropy map will provide critical knowledge to civil society leaders to better understand their field, make strategic choices, and strengthen their local community impact with greater charitable giving. 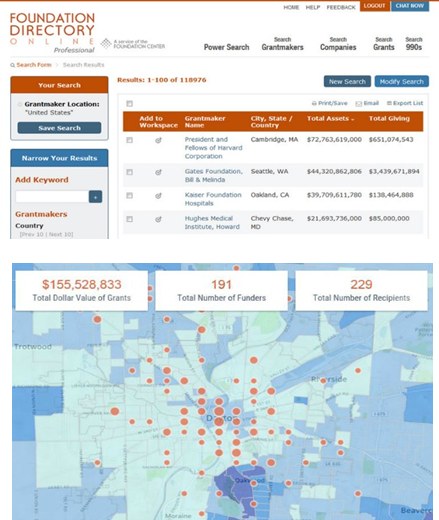 The customized interactive map will allow users to search thousands of grant opportunities from hundreds of foundations, and thousands of recipients. Ultimately, the borderlands map will facilitate bringing more charitable giving and grant opportunities to important causes, issues, and organizations in the borderlands. Anyone interested in philanthropy will better understand the scope and diversity of philanthropy in the borderlands as never before. Sponsor datasets for one of the 10 Border States.